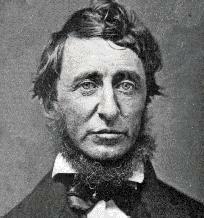 The Thoreau Reader web site includes three complete books and four essays by Thoreau, with annotated text for Walden and Civil Disobedience, and other Thoreau, Civil Disobedience and Walden links. It is not enough to be busy ... The question is: What are we busy about? Nothing can be more useful to a man than the determination not to be hurried.